Henry Doktorski, 2003 publicity photo. 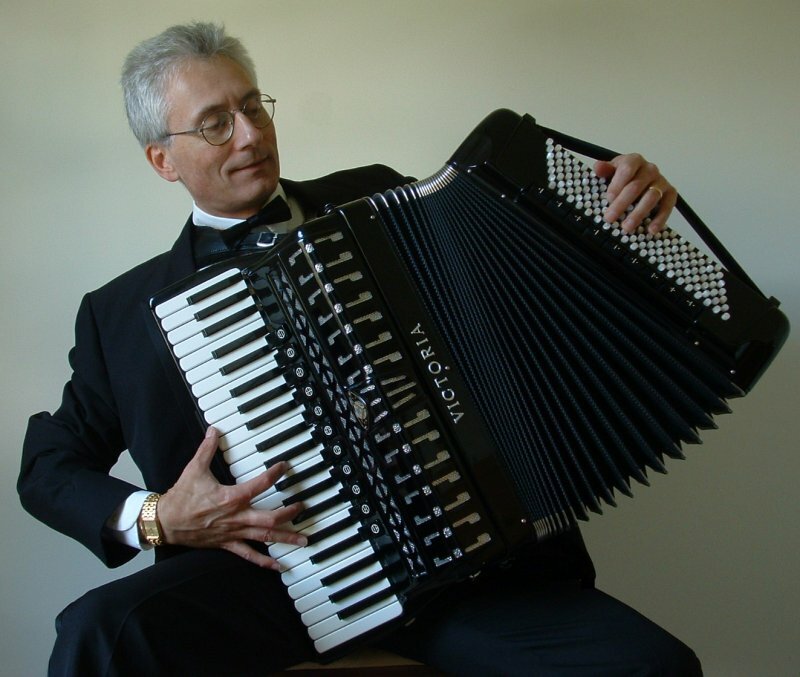 In this popular program, Henry presents a lecture/recital on the life and music of two great pioneers of the piano-accordion: Guido Deiro (1886-1950) and his brother Pietro (1888-1954), consisting of their greatest hits: waltzes, marches, rags, overtures, polkas and tangos interspersed with entertaining and educational stories about the brothers’ exciting and glamorous lives: their boyhood in Italy, running away from home, emigrating to America, achieving stardom in Vaudeville, and Guido’s four marriages (including his passionate and turbulent marriage to Mae West). City University of New York, New York City (March 2001). Go to: Repertoire Part 4: Light classical, popular, and international repertoire—suitable for corporate events, receptions, parties, weddings, etc.